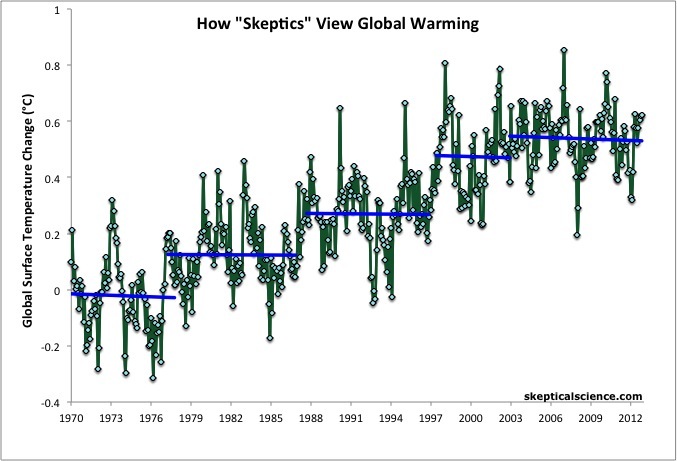 to get skeptical about global warming skepticism. In particular, I find hilarious the way they explain serious scientific matters in an ironic way, which ends up in mocking the sceptical approach to scientific method. However, it’s important to clarify why in this case mockery is fully justifiable. Normally, in a scientific debate one should always respect the opponent, recognising his intellectual honesty. it uses a cherry picking strategy. Basically, what they do is considering a small bit of the available data to describe an entire scenario. 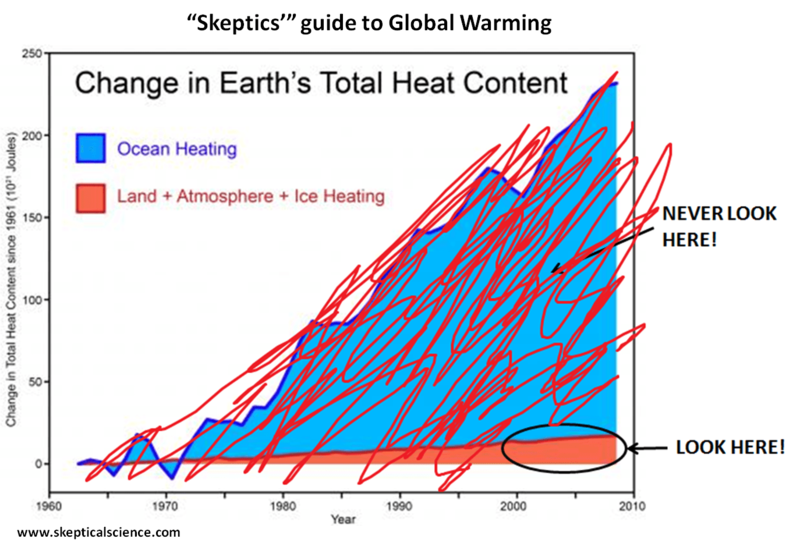 As you can see in the graph, since the ocean heating is a massive phenomenon, which contradicts the sceptical claim about climate change being a minor problem, they just don’t take it into account. The same is done, an this is definitely more worrying, with the calculation of the global warming trends. You might have heard that climate change is a hoax, because rise of global atmospheric mean temperatures is so small as to be irrelevant. Sometimes you will find such claims supported by graphs and figures. This last graph shows what does “cherry picking” means: looking only one bit at a time, you’ll notice that the the mean temperature’s trend seems to remain the same and in some cases even dwindles. Whitout the red line clarifying that in a span of about 40 years the mean temperatures of the global surface have spiked, you wouldn’t understand why scientific community and policy makers around the world are so worried. In science there are no certainties, but there are fields in which bad faith is so crystal clear that a little irony is definitely allowed. What’s Loss and Damage: Negotiating tool or moral compass?